Sigh i wish I knew of some of these publishers prior to my first novel. Perhaps On my second. 🙂 Great information for resource Monday. 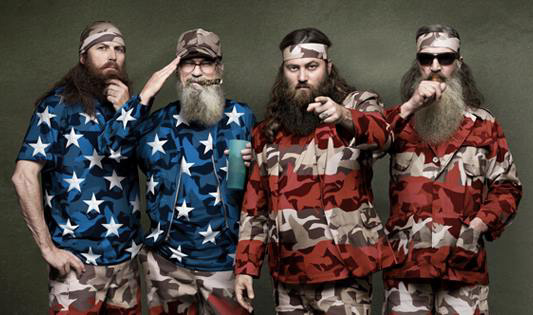 Controversy is Christian: Why Christians need to rethink the Duck Dynasty controversy. I am not a watcher of Duck Dynasty. Let me say that right now. I don’t profess to understand the fascination, but I do recognize that in the media the show is a hit and a cultural phenomenon at the moment. What I am is a reader of the Bible and observer of the times. And it’s apparent to me that the patriarch of the show is a believer and has expressed his views in the public arena. A conservative Christian view of sexuality which runs counter culture to today’s mindset, and views which for some might seem antiquated, and even “non Christian”. The truth is that Mr. Robertson simply paraphrased no matter how offensive to some what is arguably the biblical concept that homosexuality is a sin. He lists homosexuality in the same category as adultery, and quotes a new testament verse on the subject. Mr. Robertson is right in that he is affirming a fundamental belief espoused by the Bible: homosexuality is a sin. Mr. Robertson does not have a constitutional right to a job. This amendment is directed toward the government and is designed to protect a people from its government. It is not directed nor intended to protect us from the consequences of speaking our minds with our employer, sponsors or others who voluntarily choose to align themselves with us. Let me reiterate this point. While an employee’s right to free speech is protected by the First Amendment, this protection does not shield a staff person from the consequences of what one says. The First Amendment protects speech from being censored by the government; it does not regulate what a private party (such as an employer) does. To those who freely speak views contrary to the culture, the words, “count up the cost”. Come to mind. Christians in this country can not legislate away from the very “persecution” Jesus warns us about. There is a price to pay for following Jesus. We who are Christian must always keep before us our heavenly citizenship, as we live in this world but are not of it. I am reminded of the words of our Lord. 19 If ye were of the world, the world would love his own: but because ye are not of the world, but I have chosen you out of the world, therefore the world hateth you. 20 Remember the word that I said unto you, The servant is not greater than his lord. If they have persecuted me, they will also persecute you; if they have kept my saying, they will keep yours also. 21 But all these things will they do unto you for my name’s sake, because they know not him that sent me. 22 If I had not come and spoken unto them, they had not had sin: but now they have no cloke for their sin. Does A&E’s reaction truly shock anyone who names the name of Christ? If so why? I’m hesitant to even call what happened to Mr. Robertson persecution. To do so I am fearful just waters down the historical meaning of this word, and trivializes the persecution truly undergoing in countries across the world for those who have taken up the cause of Christ. A millionaire/businessman has lost his job for publicly speaking on his Christian belief about human sexuality. I’m sorry it’s hard for me to feel for Mr. Robertson when I can see his endorsed and or sponsored products all over Walmart. This is business. One of the questions this whole issue raises is why is it more profitable to offend conservative Christian viewers to A&E, then those of a different persuasion? Has the salt lost it’s savor? Is it that they (A&E) can no longer discern a difference? Have we as Christian become so deceived into thinking that this culture is our own? It is not, and it never was. America has not suddenly become less of a “Christian nation” because of the rise of gay marriage, the election of President Obama, or the success of the Democratic party, Obamacare, etc. Nor is the browning of America some seeping illness that is polluting America into a swift moral decline. I would humbly submit for the Christian, that to think otherwise is simply to have conformed to “this world”. I recognize it’s disappointing for us Christians to feel attacked for speaking our beliefs. To this I would say welcome to the rest of Christendom. Most of the world is persecuted in some fashion for following the person of Jesus. We in this country have had the pleasure of living under the comfortable illusion of a culture whose underpinnings have echoed much of what we believe, and now that those moral underpinnings are being questioned suddenly we mourn over the loss, as if we were ever really were a part of the culture in the first place. We miss the bygone days of old. Do not be deceived. The world hates us. It might smile at us, but the God of this world has no desire to do anything but make us ineffective in our purpose to bring forth fruit, and fruit that would remain. A&E is a corporation that exists to make its owners a profit. If we really want to make an impact, let our money/consumer behavior do our talking for us. Otherwise let us not be swift to condemn A&E over what any of our employers can do to us or any employee; which is to voluntarily disassociate itself from a person who it doesn’t want to represent its interest. May I suggest we do the same and simply disassociate from A&E. But let us not be hypocrites. Mr. Robertson’s free speech was not violated. On the contrary the fact that he could say his remarks is indicative of the level of freedom that exists. And his recent comments I’m sure has garnered him an even larger platform to speak. His government last I checked has not created laws that infringe on his rights. Since Satan is the author of lies, we then must be quick to recognize and do battle in the realm of ideas that tolerance that can not give room for a belief that homosexuality is a sin. Is NOT tolerance. That is the lie. The Christian community would be wise to utilize the spiritual gift of discernment of spirits as it commits its resources to impact our culture. Or our efforts will be in vain. A great article on the issue of color and Jesus. Worth the read. It’s inspiration Tuesday, but on a Wednesday! Today’s epic inspirational piece comes again from Audiomachine. Set to sweeping violins this powerful theme is the new music produced for the upcoming 2014 motion picture. It speaks and drips epic. If the movie lives up to the emotional impact of the piece. We will have a winner on our hands. Watch the actual trailer below and allow the power of the track to move you.